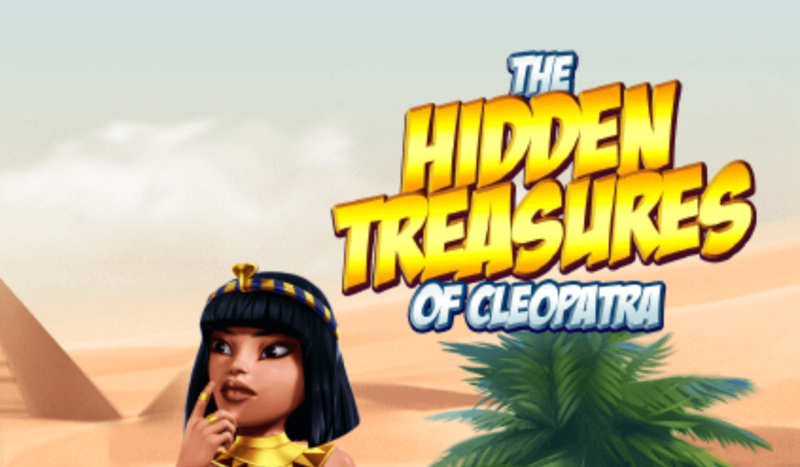 Follow in the footsteps of the archaeologist-explorer and come eye to eye with the riches of ancient Egypt in the Hidden Treasures of Cleopatra slot game. Hidden treasures of Cleopatra is a fun slot with an old-school 3×3 reels structure. The grid can expand, however, to a 4×4 and 5×5 structure increasing your win potential. 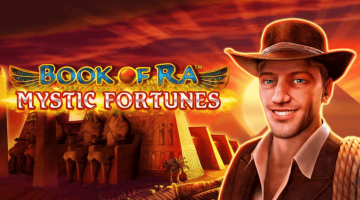 On this cartoon-like slot you follow an upbeat explorer- archaeologist who finds himself in the middle of the Sahara Desert in Egypt. He is in search of the hidden treasures of the land of the pharaos and on his search he comes eye to eye with one of the most well-known pharaohs of all: Queen Cleopatra. Share in the riches the explorer discovers on Hidden treasures of Cleopatra slot game. Hidden treasures of Cleopatra is set in the desert with pyramids at the backdrop and a small stream coming from the fruitful river Nile is flowing on the forefront. Both the explorer and the title heroine appear on either side of the grid and as symbols on the reels. The slot has 27 Win Ways in the base game. This increases to 256 Ways to Win when the grid is expanded to 4×4. You have no less than 3125 Ways to Win when the reels have expanded to a 5×5 structure. The positions of the reels have been designed as rolls of papyrus and each roll spins individually, rather than that the complete reel spins. This gives a fun effect of depth on the reels. In addition to images of the explorer and cleopatra, the latter being the highest-paying symbol, you find gemstones in different shapes and colours and holy animals on the reels. The animals deemed holy by the ancient Egyptians that make their appearance on the reels are the snake, the Anubis and the cat. When it comes to cats, you play images of two cat statues both with shining ankh signs around their neck. 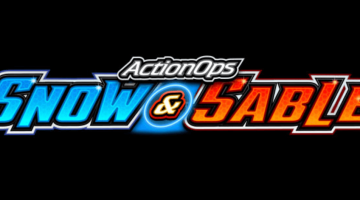 When you play at least 3 Free Spins symbols on the reels in one spin you are awarded free rounds. A 3 and 4-of-a-kind win respectively let the reels expand from a 3×3 to a 4×4 grid or 5×5 grid for one spin. If you don’t hit another 3 or 4-of-a-kind win in that one spin, the grid returns to a 3×3 structure. The Wild symbol can appear on reels 2 and 4. It fulfils its usual symbol substituting functions and can replace any other symbol with exception of the Free Spins symbol. Any 3-of-a-kind win expands the grid from 3×3 to 4×4 and increases the game’s win ways from 27 to 254. Whenever you play a 4-of-a-kind win, the grid expands to a 5×5 structure with 3,125 win ways. Free spins mode is triggered when you play at least 3 Free Spin symbols on the reels. These only appear on reel 5. 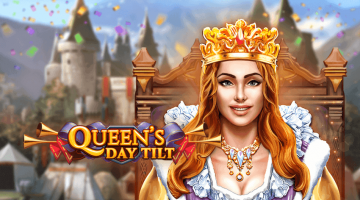 Three triggering symbols award you 10 free spins. Play 4 Free Spin symbols and you get 20 free rounds and 5 symbols in one round grant you 25 free spins. Free Spins is played on a 5×5 grid. You win additional free rounds when you play more Free Spin symbols on the reels in this mode. This feature is triggered in Free Spins mode when you play no Free Spin symbols at all in any given round. When the Bonus Game is activated you spin a dual wheel compass. The first wheel of the compass has 3 green segments and one red segment. When you hit the red segment the Bonus Round ends immediately. When you end up in a green segment it triggers the spinning of the second compass wheel. The direction indicated on the second wheel determines the cursor movements on the grid. When the cursor moves into a new grid space you receive a pay out equivalent to 5 of a kind of the symbol you have landed on. The Bonus game ends when you land on a red segment of the compass wheel or you end op in a position outside the grid or on a position you have already landed on in previous turns. Hidden treasures of Cleopatra is a fun and straightforward slot game that honours the classic slot game with its 3×3 grid structure. Yet, the game has an exciting twist with the expanding reels feature that can chance the grid to a 4×4 and 5×5 structure. If you like the ancient Egypt theme and you can do with an upbeat, cartoon-like slot game, then Hidden Treasures of Cleopatra is for you.